Ever wonder what pasta made with vegetables tastes like? Quite good, actually! I don’t know who came up with vegetable pasta, but the person was definitely a genius. 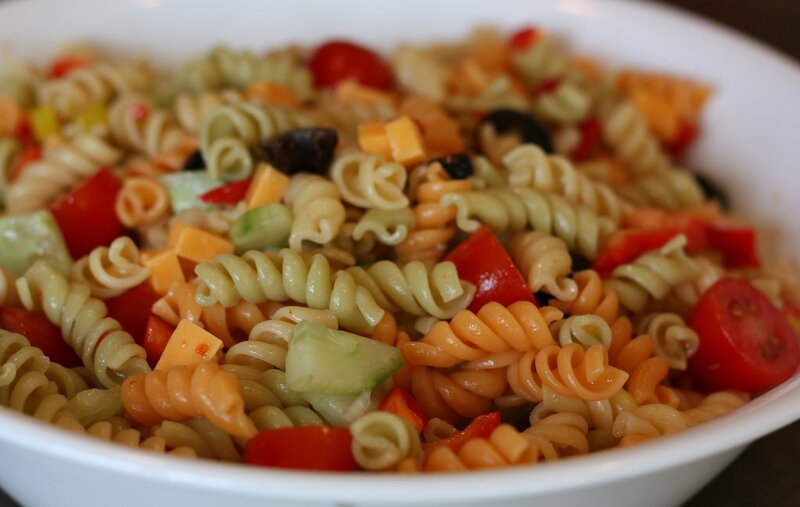 Using vegetable pasta for salads is a natural consequence of its existence! Now cherry tomatoes are a wonderful salad addition. They are small and sweet, plus do not overcrowd your bowl. 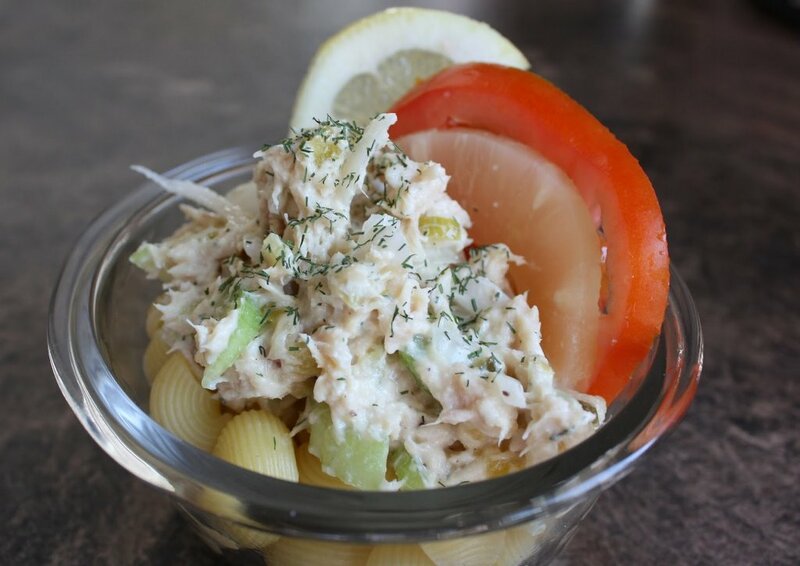 I thought of “Life is Just a Bowl of Cherries” sung by Judy Garland for today’s song because even though they may not be cherries, the cherry tomatoes are an integral part this vegetable pasta salad! Put chopped onion, sliced black olives, diced red pepper, diced cucumber, chopped banana pepper rings, and sliced tomatoes in a large bowl. Cook pasta 1-2 minutes shorter than cooking time on the box. Drain. Run cold water over the pasta to cool it. Add pasta to bowl. Toss vegetables with pasta. Drizzle zesty Italian salad dressing over salad. Toss lightly. Add cubed cheddar cheese. Stir into salad.